Promote and grow the sport in the United States. Enable United States athletes to achieve sustained competitive excellence in Olympic, Pan American Games, World Cup and other International competitions. Provide programs and services for our members, supporters, affiliates and the interested public. Be committed to excellence and the improvement of opportunities for both men and women in our sport, emphasizing participation and development opportunities for players, coaches, umpires and administrators. Be committed to selecting and preparing teams to participate successfully in the Olympic Games, Pan American Games and identified international competitions. Strive to represent the United States and the sport of field hockey in an exemplary manner throughout the world, both in terms of competitive performance and in the overall quality of our programs and services to our members. Established in 1990, the Futures program is an effort to continually raise the level of field hockey in the United States by developing athletes for future consideration to the U.S. National Teams. Athletes train at their Futures site for 7 sessions from January through May. Futures athletes undergo elite-level training to improve their skills and develop a tactical understanding of the game. At the conclusion of the Training Academies, each of the nine regions conduct a Regional Futures Tournament where the top athletes are selected to their respective Regional Teams for U-16 and U-19 age divisions. U-14 athletes will be selected to move on to the National Futures Championship and will play on mixed teams. The U-16 and U-19 Regional Teams will compete at the National Futures Championship. From the National Futures Championship, athletes will have the opportunity to be selected to various other elite programs, including the U.S. Women's Junior National Teams and AAU Junior Olympic Games. Understanding what academic requirements are necessary to becoming a collegiate athlete for all Divisions is crucial, every student is different so make sure that you are on a path that matches your athletic potential. You need to be certified by the NCAA Eligibility Center to compete at an NCAA Division I or II school. You must create a Certification Account and we'll guide you through the process. You need to create a Certification Account to make official visits to Divisions I and II schools or to sign a National Letter of Intent. Create a Profile Page if you plan to compete at a Division III school or are not yet sure where you want to compete. You'll get an NCAA ID, and we will send you important reminders as you complete high school. 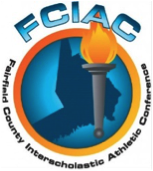 All Fairfield County Sports can be found on this website including all High School sports master schedules and highlights. All CT State Sports can be found on this website including all high school sports rankings and tournament information. MaxPreps is America's Source for High School Sports. We are proud to be involved with America's hometown heroes – the young men and women working hard to improve their skills, place team above self, and serve as inspirations to their local communities.MaxPreps aspires to cover every team, every game and every player. We do this in partnership with nearly 100,000 varsity coaches throughout the United States. For the millions of student-athletes we coverMaxPreps provides hard-earned recognition for the countless hours of practice you have devoted to learning how to compete at a high level. Want to know how to get recruited to play a college sport or find an athletic scholarship for college, then visit Athnet for both athletes and parents to help guide you through the process. This is my favorite and so exciting - to follow all college field hockey in all three divisions across all conferences. 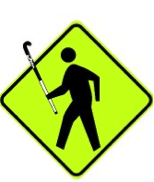 Find rosters, schedules, scores, rankings and links to every college field hockey website. When researching schools, this LIST OF TEAM WEBSITES is VERY helpful and handy to use, instead of googling them all and toggling back and forth.